Boil the Kamut in salty water for 40-60 minutes until tender. Drain, rinse with cold water then set aside until your sauce is ready. Take some kitchen paper and dry off as much moisture as you can from the aubergine. The salt will have drawn out a lot of liquid so you need to dry off as much as you can. Heat some oil in a frying pan and fry the aubergine until it is soft and has caramelised. In a large frying pan heat the oil until it becomes very hot but not smoking. 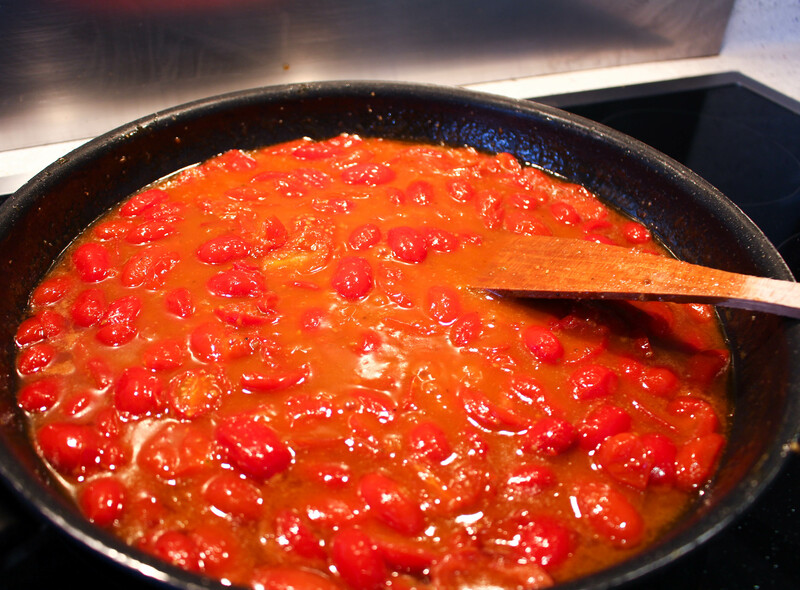 When you are satisfied that the oil is hot, carefully add the tomatoes and their liquor to the frying pan. This can sometimes make the hot oil spit so be very careful. Don’t touch the tomatoes at this stage just leave them to cook on this high heat for about five minutes. 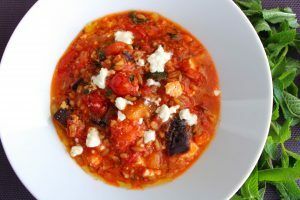 Now turn the heat down to a medium heat stirring the tomatoes then add the garlic, the aubergine, the red wine vinegar, pepper and a small squeeze of honey to balance out the acidity of the dish. 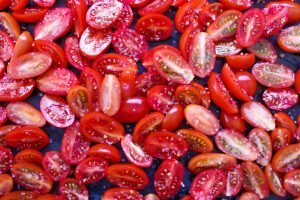 The tomatoes should have broken down during this process and should now look like a sauce. 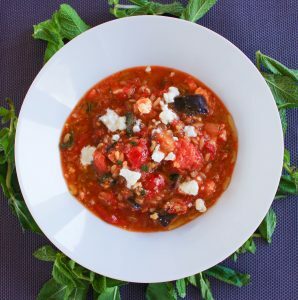 At this stage you can add the mint and the Kamut and continue to cook on a lower heat for about 5-10 minutes, stirring occasionally and allowing the Kamut to soak up the tomato flavour. Take the pan off the heat and add the feta, keeping a small amount to crumble over the top of the dish as a garnish. Finish the dish with a glug of good quality olive oil, a sprig of mint and the remaining feta.